A lot of homeowners and businesses need access to hot water at the turn of a tap. The circulating pump is what allows this to happen. These modern systems offer hot water in a hurry, and eliminates the hassle of waiting for the water to heat up. A hot water circulating pump is normally found at the water heater. 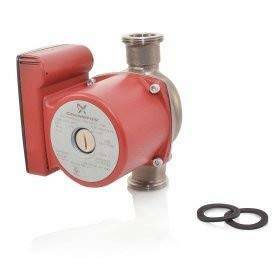 Many times a circulating pump can break or just wear out from heavy usage. If you think there is an issue with you current set up, or if you just want to get a Circulating Pump installed then contact us today. Their big advantage is the pumps are small and can be easily installed in most homes. Most use low power consumption, and newer models can be programmed to shut off or kick on at preset intervals based on your hot water usage. We have installed circulating pumps all over OC and provide a Free upfront estimate. The basic “always on” circulating pump that uses the same amount of energy as say just a 40 watt light bulb. A recirculating pump that offers a timer and allows homeowner to set times when the system is to be on for peak efficiency. The “on demand” recirculating pump comes with a remote control for that time you want to circulate hot water through your system. This model shuts off when it senses that the water at the faucet farthest away from the heater has reached the appropriate temperature. Also the “circulating pump” meant to work well with the tankless water heater. Our reputation speaks for us, but for any question please call us today. 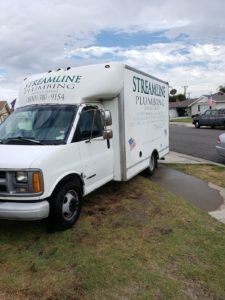 With over 25 years experience here in OC and LA, we have built a long list of happy customers – Commercial, residential, HOA, etc. We believe that no job is done right until The Customer is Satisfied. Our technicians are well trained and experienced with modern equipment and a professional attitude. Aliso Viejo, Mission Viejo, Huntington Beach, Newport Beach, Anaheim, Yorba Linda, Tustin, Fullerton, Buena Park, Garden Grove, Laguna Beach, Irvine, Costa Mesa, and all of OC.